• Cleans what ordinary cleaners simply can't. • Water-based formula, contains no bleach or ammonia. • Removes grease, grime, oil, tar and wax fast! • Removes dried latex paint. • Suitable for interior and exterior use. 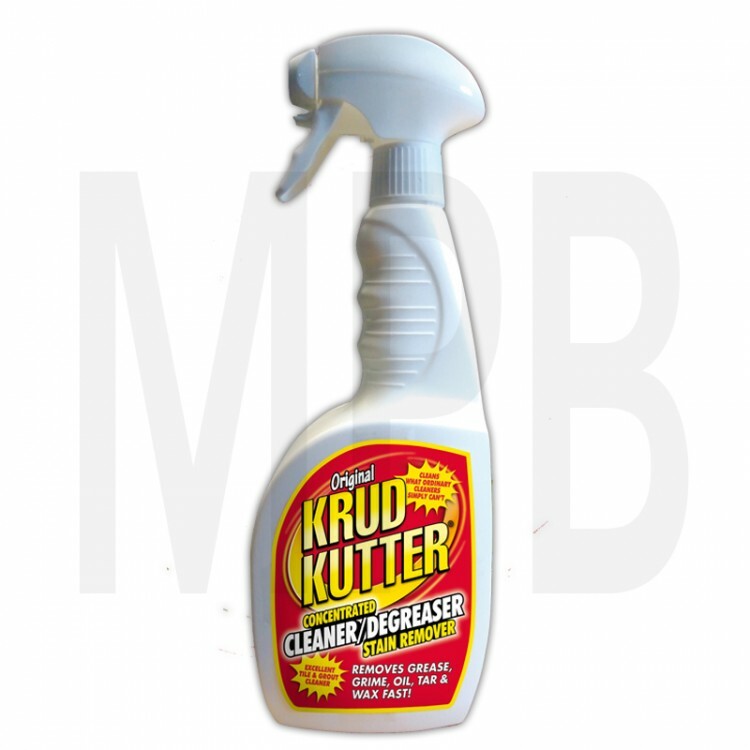 Krud Kutter® Original Formula is a concentrated cleaner, degreaser and stain remover that quickly and easily removes tough stains from many different surfaces. Water-based, it contains no petroleum solvents, bleach or ammonia. It safely and easily removes: food and drink stains, dried latex paint, paint overspray, tape residue, glue and adhesive, acid rain, bird droppings, smoke damage, tree sap, grease and oil, marker and crayon, pet stains, brake dust, fireplace soot, oxidation, lipstick, scuff marks, blood stains, sun tan oil, tar and wax, chewing gum, soap scum and shoe polish. Suitable surfaces include: tiles and grout, baths, sinks, showers, tools and equipment, machinery, white walls, driveways, barbecues, ovens. Application Information: Trigger spray - apply directly to surface, allow to penetrate and wipe off with clean cloth or towel. Always read full instructions on pack before use.